If I could, I'd skip dilating patients' eyes to see if they are a good candidate for 3D LASIK. There are two big reasons, however, that it really matters. You know what people hate? Getting their eyes dilated. They hate it with a passion that is usually reserved for toe stubbing or political advertisements. I understand that. Spending several hours with blurry vision and having the sun feel like it was turned up to supernova setting is not fun. If it wasn't really important, I'd skip the whole thing for people coming in to see if they are a good candidate for LASIK. There are two big reasons, however, that it really matters. First, it is important to see that, as I put it in clinic, "everything is where it should be inside your eye." 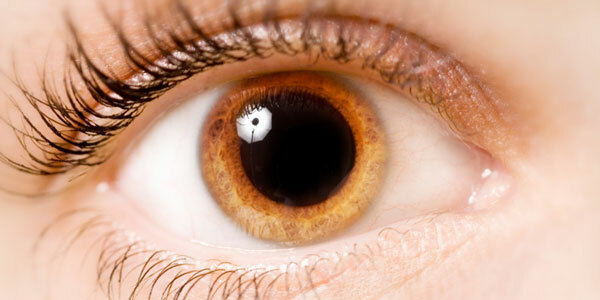 Dilation opens the pupil up to usually around 6 mm to 8 mm, and although that sounds like a small window to look into the eye, it is a huge difference when compared to a 2 mm pupil. A 6 mm window isn't a window that's 3 times as big as a 2 mm, it is 9 times as big. That's because the area of a circle is 2 x pi x the radius squared. That's probably not important to get the point across, but I figure since we were all forced to memorize that at some point, it's nice to find places where we can mention it. But concerning your eye, the truth is there's almost never a problem inside that surprises us during a LASIK consultation. It does happen though, and if you're that 1 in 100 that it happens for, that really matters. But it is rare. Most of the time, if something isn't right inside the eye, you're the first to know. You'll think something like, "Well then, there wasn't a big gray cloud blocking the lower half of my vision in just the right eye yesterday, but now there is." Then we can find the cause by looking inside the eye after it has been dilated. The second reason that dilation is really important for a LASIK consultation is the more important one for almost everyone. Dilation makes the focusing muscle inside the eye relax. It is amazingly common that people are "over-focused." It's so common that I see it several times a day. What's it look like when that happens? It means your prescription is higher than it should be. You may be in -3.00 contacts, but your true prescription is only -2.50. And if you're younger than 45, there's no reliable way to know that unless you get dilated. If you get LASIK and fix a prescription based on one that is too strong and "over-focused," you've just doomed someone to needing reading glasses years before they would have otherwise. There are a lot of LASIK surgeries that have been performed without a dilation before surgery. Sometimes it even works out okay for those folks. But when we're talking about your eyes, it is always best to do the safest, most reliable diagnostic workup possible. And it is important to look ahead and make sure you're not giving someone bad reading vision tomorrow to give them good distance vision today. Overall, it is worth the bummer of dilation and the consequent few hours of blurry vision to make sure of that.